• Portuguese Water Dog breeders are listed below alphabetically by State / city. • Click on underlined words to find Portuguese Water Dog puppies for sale. • Please tell the Portuguese Water Dog breeders with puppies for sale that you found them on BreedersClub.net. Bred in Portugal to aid fisherman, the Portuguese Water Dog is an excellent swimmer and diver, strong, a loyal worker and obedient companion. A very intelligent and active breed, Portuguese Water Dogs need daily exercise. Its hypoallergenic coat needs maintenance such as clipping and brushing. This breed is a member of the AKC Working Group. Our dogs are very intelligent family pets. They are extremely loyal and loving dogs. They also would be outstanding hunting companions. All of our dogs are raised with children and are socialized to other dogs. Before they leave our home they are vet checked, have their dewclaws removed, are vaccinated, and wormed. We live on a 2 acre property in beautiful Paradise Pa! Our dogs and puppies are raised in our home and are well socialized. We invite our clients to come out anytime and spend time with us and our puppies. We will walk you through the adoption process and make it as seamless as possible. We have 5 children and we love to make interaction with our dogs a part of our families routine. Our puppies come vet checked, registered, one year health guarantee. We would love to meet you so feel free to reach out anytime! This breed directory page features Portuguese Water Dog breeders with puppies and/or adult dogs for sale. 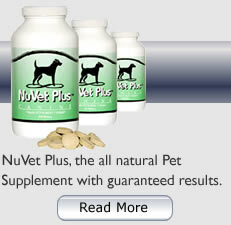 Once you purchase your new found friend, you will want to provide it the best in pet health care. Be sure to visit our online discount pet supplies catalog and order NuVet Plus™ to keep your puppy and adult dogs in top condition. The discount catalog also features collars, leashes, carriers, general pet care products and much more. BreedersClub.net does not pre-screen the Portuguese Water Dog breeders who advertise their puppies and dogs for sale in the BreedersClub.net breeder directory and in the classified ads. We require all advertisers to agree to our advertising terms. You should ask the Portuguese Water Dog breeders you talk with for references from past buyers and veterinarians.